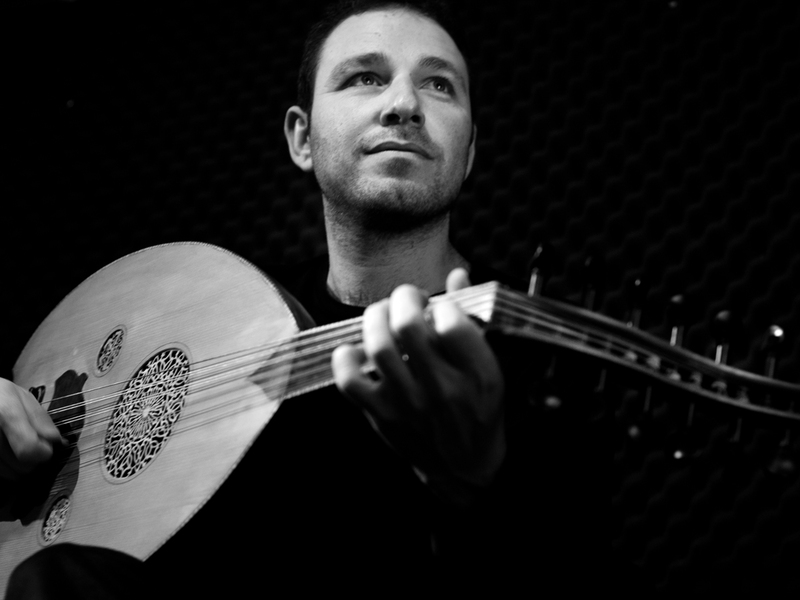 Nizar Rohana is a Palestinian ud player based in the Netherlands distinguished for combining virtuosity within fresh contemporary compositions, while maintaining the ud’s authentic language. He was born in the village of ‘Isifya on Mount Carmel near Haifa city to a father who played ud in communal celebrations and a mother who accompanied him on percussions. From a young age, Rohana played music, picking up the ud when he was 13. Following extensive studies in ud performance, composition, and musicology, Rohana immersed himself in developing contemporary ud compositions, taking inspiration from the practices of Bach, Mozart, Beethoven, Chopin and Brahms all the way to Tanburi Cemil Bey, Kemani Tatyus Efendi, Muhammad Al-Qasabji and Muhammad Abdel Wahab.